It’s September the 28th 2013. A wave from a gathered house crowd zooms up into space bidding farewell, some fun, then an empty stage in Alexander Palace. The final notes of “We’ll Meet Again” by dame Vera Lynn waft across the room at the departing masses. Walls filled with echoed laughs, and then something disappears, into the folds of Folgate Friday and Beyond, before winter takes hold across the land, bleakly silent. The year turns, whispered sounds in scattered corners, sprinkled magic, the rattle of a departed feline, distant islands sunbeams, crys from within a tunnel, some faint jazz, untethered gypsies dance, all heard by a few separated souls, or dismissed as legends, amongst the loudness of nothing. Nothing. Then a spring day. Pacing footsteps, two sets, three, four, six. Gather together in the dark, around a large dust sheet, protruding wires, dislodged rolls of schematic parchment and damp musk. “It’s nearly time… ” Extending his arm, all draw near. “Who’s going to flick the switch?” he growls. 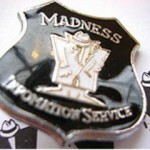 See below for all forthcoming Madness and Madness related gigs and events. If there’s something we’ve missed off or you feel should be added then please let us know. June 1st 5pm. Regents Park. Charity high price ticket event. November 14th. The Big One 3. Park Dean, Sandford Dorset. (Unconfirmed) August 16th, Newham, Under The Stars – Free! An appearance at the Boom town festival. Hampshire’s pop up city four day event begins on august 7th into the weekend. Chinatown district is full of ska and more bands this year, but this isn’t the ska orchestra we can confirm. June 15th – Dublin Castle. 1.30pm £7 on the door. Single release download date moved to May 26th. iTunes and Amazon links are now active. It’s available as a download, and also as a plastic cased CD set. So you physical collectors could do well at add it to you collections, and you modern gizmo ipad types or mp3 player on the go users etc can get it fairly instantly. What’s brilliant about the audio edition is, it’s the closest version yet to the Live Suggs solo show being released. Suggs himself reads the text over seven hours and is as hilarious as he is in his one man show. Crunch! Beanie hats one size £ 8.99 limited stock + £3 p&p on shirt – beanie free! “Hello everyone, I hope you have all been well in my absence and life is good. I do apologise for my silence, time seems to run away from me at times as I tend to get distracted with writing and life I do hope you understand and I want to thank you for your patience its appreciated. What Mr Smash is up to? Here I am! I have been kept occupied with various projects that I am working on and my distractions are I assure you all worthy. As you know I have had a really busy couple of years with much going on in the world of Madness. Its been exciting a lot of fun and continues to be challenging and stimulating in turn. This year has been unique in that we have no shows coming up until June so it has been an opportunity to work on other projects. 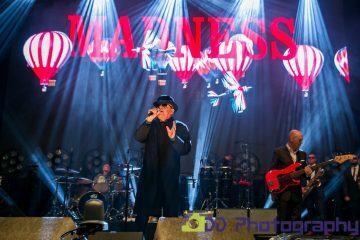 As regards Madness I am working on some new songs and as ever am looking forward to performing with the band, for me its the best aspect of being in Madness. Its 35 years since we released One Step Beyond and I hope to be able write some new songs with equal energy and spirit for our next album. In closing as ever thank you for your support and patience. it is appreciated. I am coming to the completion of my solo album which will be finished by mid May so I am extremely pleased about that as its been a labour of love and over a considerable period of time. Some amazingly talented people have participated in the making of this album and for that I am eternally grateful. I like to think that you can tell where you are at by the quality of your relationships with those around you. In this sense the signs look favourable. Sir Peter Blake, who designed the artwork for the Beatles’s 1967 album, Sgt Pepper’s Lonely Hearts Club Band, has completed work on a somewhat larger canvas. The 81-year-old artist today (April 29) unveiled a giant triptych at the Royal Albert Hall, entitled Appearing at the Royal Albert Hall. The mural, which is 10-foot high, features more than 400 figures from the worlds of music, sport, science and the arts who have appeared at the London venue from its opening in 1871 through to the present day. Suggs appears front and near centre of the mural next to black and white Beatles. Your one-man show is very reflective. You’ve also recently published your autobiography. Is this a watershed of sorts for you? Not really: my one-man show is a mixture of happy things and sad things, so I think it’s a continuation of what Madness have always done. Live action at the legendary Dublin Castle in Camden Town this 19th June from Mr Clive’s new sidewinder lineup ‘CLANGERATTI’ announced. Yes folks Mr Langer himself reprises 45 minutes of top Clive Langer & the Boxes and other hot tunes accompanied by Deaf School’s very own Max Ripple (de-frocked for the night – just the way he likes it), along with Thundering Gregg Braden, from The Holloways and erstwhile Deaf’s guest fiddler in a top hat Robb Skipper – and last but very much not least Clive’s special guest the wonderfully slim, slick and suave Mr Eugene McGuinness! With support from the amazing Man Like Me it’s a top night out in London Town at just 10 squid a ticket…get on down! 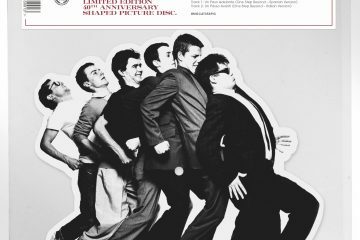 Go to www,deafschoolmusic.com to buy tickets from the Deaf School Tuck Shop! Oh yeah.. Ingerland kick off at 8pm that evening – CLANGERATTI onstage at 10! The 5th and final gig of Magic Brothers residency at the Dublin Castle, Camden. The band are once more in fine form in front of a packed crowd. Having seen all 5 gigs, I felt last time out was the best; tonight the band put in a damn fine performance though and is close behind as the next best. It’s been great watching the band evolve, not exactly learning their craft but as a team of musicians working to perfect their show. Before playing The River, Nick announces that this song is going to be included in a film to be released at the end of May called Finding Mike. Astonishing to think that a relatively new band will have one their songs played in this way. Not entirely surprising to me though as the song writing and production values in particular to this tune do lean towards a cinematic soundscape. As this gig was well documented last time in MIS, this time I thought I’d just share my overall thoughts about their shows. It’s fair to say this run of gigs has really helped them; again I get to speak to the trombonist after tonight’s gig. I say to him “A real highlight for me tonight was when you went for your customary stage/beer break. On your return it was me you said ‘excuse me’ to while you had your trombone balanced over your arm whilst successfully holding 3 pints!”. What a brass section! Stating to him how good it was again tonight he says, “I just love playing these songs. They’re brilliant songs, so well written and are a joy to play. I just wish we had more gigs lined up”. Brothers management could get this wonderful bunch of musicians together for more gigs please! 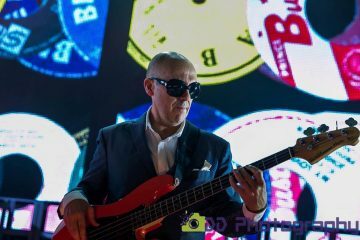 The modern unique rhythms of east London reggae are coming to The Big One 3. These guys, fresh from their own sell out tour and big festival appearances are going to be the next big thing. They are creating waves across the British music scene and rave reviews follow in abundance. This is your chance to catch these guys LIVE doing what they do best, making great dance music. “The band are torchbearers for modern British reggae music” -Clashmusic. This is going to a scintillating performance and you can only see it at Specialized- The Big One 3. Book now on 0844 335 3501 and get your place reserved -You don’t have to pay in full straight away. Do it. This event is lined up to be a superb blend of todays artists and legends . We are very excited by The Skints- As you will be! 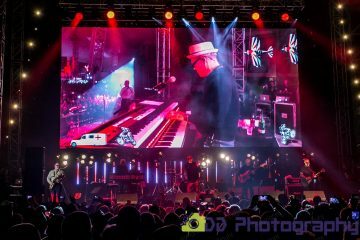 Specialized are pleased to announce that SKA DOGS will be performing on Specialized 3- Mad Not Cancer!- These dudes will be performing the track ” Uncle Sam”…. Formed by a bunch of like minded individuals that only wanted to play good music and have a good time! They list their interests as Gigging, drinking, dancing! Not always in that order! This week, MIS co-editor Rob Hazelby, goes back 5 years to issue 522, and the week of Sunday 3rd May to Saturday 9th May 2009, and then back 10 years to issue 260 and the week of Sunday 2nd May to Saturday 8th May 2004. Unlike most Bank Holiday issues we’d ran in the past this one was absolutely packed. So, if the weather did take a turn for the worse where you were, you at least had a cracking issue to plough through. Before we’d let you get on with this week’s collection of articles, we had a request for your help. We believed that a TV advert to promote the album has recently been recorded by the band. If you spotted this on TV we asked if you’d be so kind as to email us with the details, and if you were really tech-savvy, to upload the clip to YouTube. 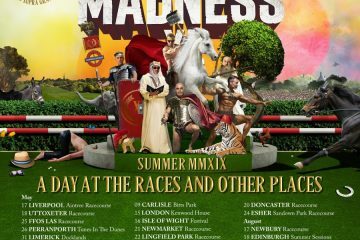 Our articles kicked-off with an amazing exclusive from Madness Central, who had managed to interview the one and only Clive Langer. Being the nice people they are, they’d given the MIS the thumbs up to publish the review in the weekly bulletin. Madness Central weren’t the only ones out there interviewing, as this week also saw the French MIS team speak to Suggs and Chris. Elsewhere, and in house moving news, The Mail Online reported that both of Suggs’ daughters were about to move out and that dad was helping them out with deposits. ‘I’m helping them find a deposit because it is a good time for them to get on the ladder,’ said the 48-year-old, who is now thinking of selling the family home and buying a flat on the Thames. Moving on, and up til now we’d only read glowing reviews of the Liberty of Norton Folgate album. Well, things were about to get nasty as we published a review from Adelaide Now, who were less than complimentary. 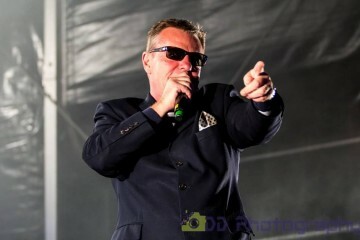 Unfortunately, Suggs and Co’s glory days are behind them and only their back catalogue will keep their aura alive. 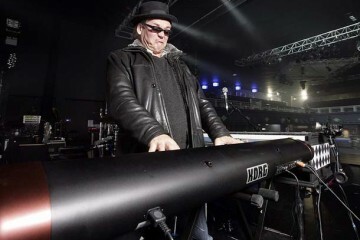 Towards the end of the issue we went back to The Mail Online, who were interviewing Suggs on health related questions, and advised those with access to the M section of the Madness web site to log in, as Chris had recently uploaded some new Axecam footage. We started off this issue of the MIS with an apology for just how short on news it was. Much like this very issue, number 260 was also suffering from the Bank Holiday Weekend news shortage, meaning that the reader base would be able to plough through the whole bulletin in almost record time. With little to report on, Jonathan Young kindly typed-up a partial extract of Bedders’ forward to “Sent From Coventry”, The Chequered Past of Two Tone. Always one to keep us up-to-date with the more unusual Madness collectible, Chris Carter-Pegg contacted us with a heads-up on the latest item – the publication of “The Hand that changed its Mind”, which included the sheet music for “Oranges and Lemons Again”, written with Suggs. 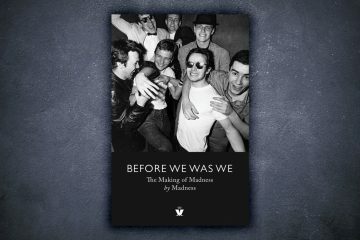 The book was priced £14.99 and Jools was spotted signing copies of it on the 26th April, in Chappells of Bond Street, London. Moving on, and we took a look at Warrior Clothing’s belated Easter offers, and were pleased to learn that the guys and girls there had not only got the UK site to a look and feel they’d been striving for, but their German site was now also undergoing a revamp. We finished off this issue by advising our readers to not bother downloading the 30 second clip of One Step Beyond, from the Royal Albert Hall. Well, unless you were happy to put up with really distorted sound and almost completely black video footage. Recent nutty posting from Twitter, Facebook and other online sources. Currently working on a film script about racing dustcarts – Chariots of Mire. Although I dumped the one about the non- believing Quick Fit Fitters – Heretics of Tyre. Just charging me post gig e cigarette, seems to take an awfy long time. 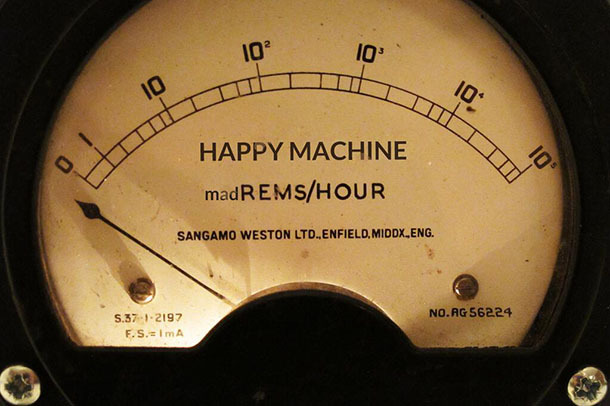 Here’s a link to The NJE on Resonancefm last night. Talking about day jobs, horses heads, Department S and Mick Ronson amongst many other things with special guest Rhodri Marsden. 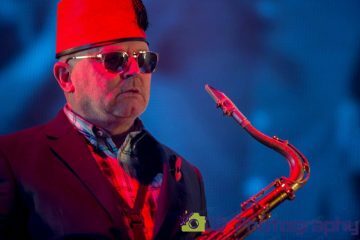 Brendan Phipps of Madness tribute One Step Behind has been in touch to tell me that the band are 21 years old this week. A Facebook group has been set up to commemorate this landmark. That’s all the news this week. Just time for a song. This one is for you Looby Loo. From all of us at MIS. Strength. Time. Keep the recovery moving.